Do you have what it takes to become the world’s greatest athlete? Find out with DECATHLETE. Take on the challenges of 10 events: 100-meter dash, long jump, shot put, high jump, 400 meter dash, discus, 110 meter hurdles, pole vault, javelin, and 1,500 meter run. You can try to master these events in three different modes: Practice, Decathlon, and Arcade. All of the action takes place with polygon-based characters, and multiple camera angles will catch all of the excitement. If you have a friend, you can compete head-to-head in Two-Player mode. 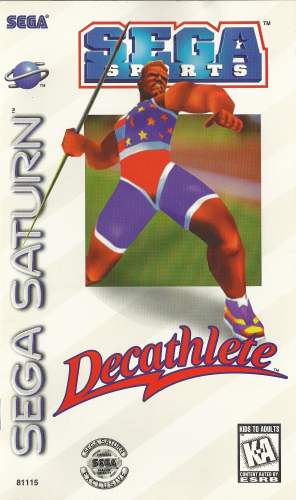 Be all you can be in DECATHLETE.